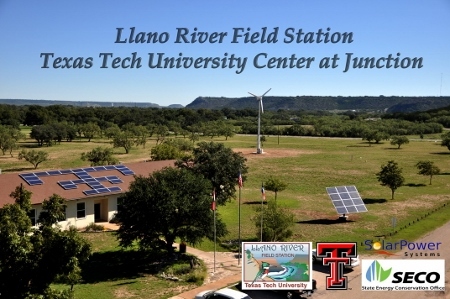 Last fall the Llano River Field Station (the Station) at the Texas Tech University (TTU) Center in Junction received a grant for $230,000 from the Office of the Texas Comptroller for an alternative energy demonstration project. The renewable energy devices have been installed and are now generating electricity for two buildings on the Junction campus. Readers may see for themselves how the solar and wind energy devices are operating by going to http://live.deckmonitoring.com/?id=texas_tech_junction. On this website, one can see how much electricity is being generated and how it is being used, as well as other interesting tidbits. The interactive graphic display helps to make the data presentation both interesting and informative. The solar system has the capacity to generate the annual equivalent of around 59,510 per kilowatt hour (kWh) of electricity. The estimated annual equivalent production for the wind turbine is 28,120 kWh. It is estimated that this alternative energy will result in savings of $425,000 in electricity costs over a twenty-five year period. In addition to the practical benefit of generating electricity, this project is being integrated into a renewable energy and conservation curriculum of the national award winning Outdoor School on the Junction campus. The school includes a state-mandated curriculum that teaches science to students in an outdoor environment. More than 13,000 students have attended the school since 2004. TTU students in Lubbock will also be making field trips to Junction to learn about this renewable energy project and its conservation, cost savings, and sustainability benefits. The students will be coming from the Departments of Engineering, Arts and Sciences, Agriculture and Natural Resources, Education, and Architecture. 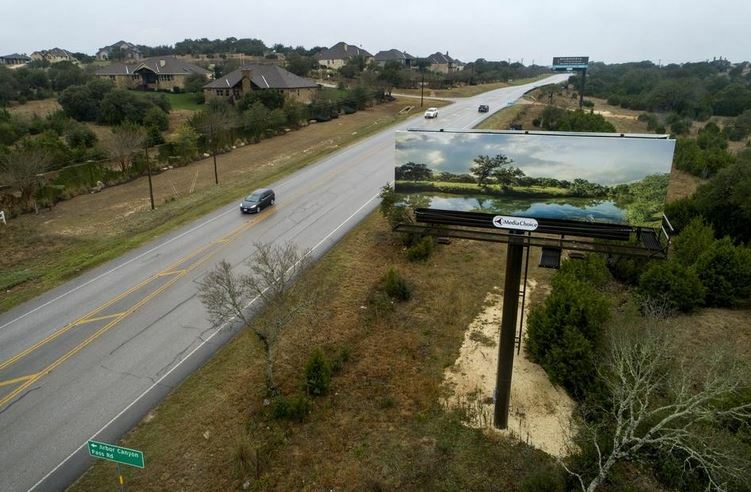 Looking at the bigger picture and the growing educational and research roles being undertaken by the Station, the demonstration project will become part of a “Llano River Discovery Point Trail” now under development on the grounds of the 400-acre Junction campus. The 3.2 mile trail is being developed with assistance from the National Park Service. The trail will include demonstration areas for best management practices for native plant gardens, rainwater harvesting systems for livestock and wildlife, mesquite brush control, invasive species management, and in-stream fish habitat improvement structures. 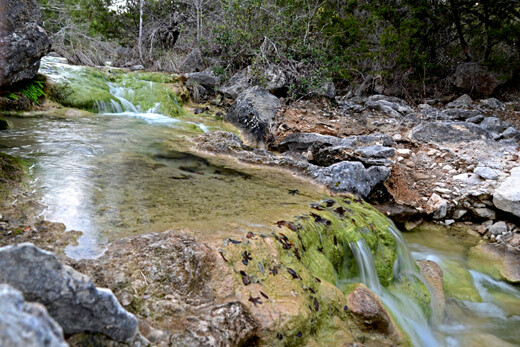 The Llano River Field Station has benefits beyond its education and science-related activities. Conferences are held throughout the year on the Junction campus and the attendees bring many economic benefits to the community (e.g., staying in local motels, eating in restaurants, purchasing fuel, and shopping). Indications are strong that the Station will become even more prominent in the coming years with increasing economic benefits for Junction.